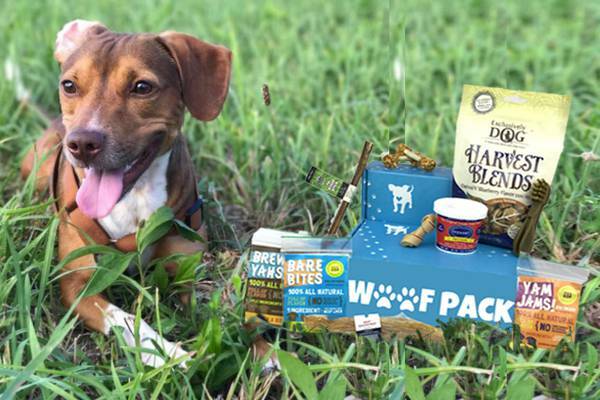 Enter your email address below to receive a notification when Woof Pack Shop starts accepting new sign-ups! Enter your email address below to receive a notification when Woof Pack Shop is accepting new sign-ups again. We currently ship 2-3 business days after payment. Let us share our stash of goodies with you! 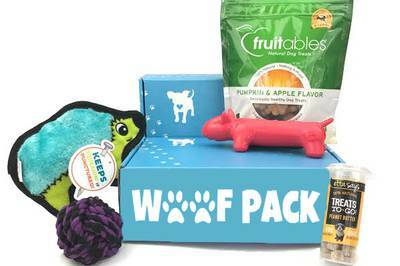 Woof Pack Shop delivers doggie goodies to your door every month. 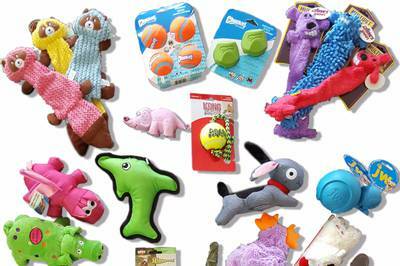 Our pup testers search all month long for top quality toys, delicious chews, and amazing treats for you and your dog. 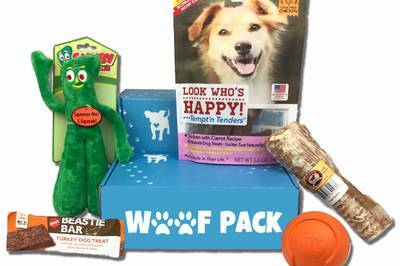 Every product we pick out runs through our ruff quality control process to assure fun, quality, and safety! 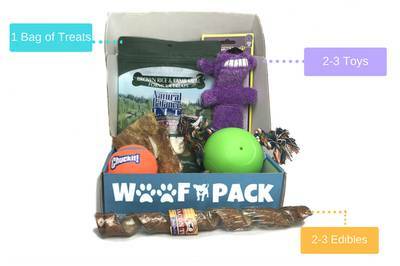 Can choose a treats and chews only box or a toys, treats, and chews box!